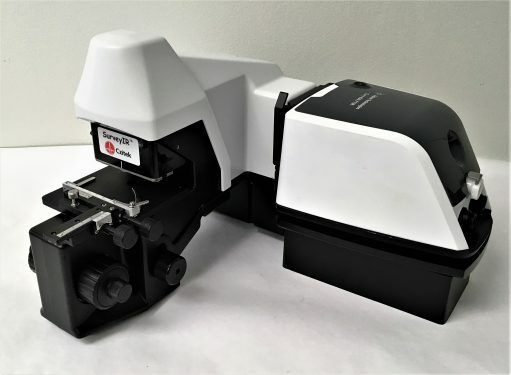 The SurveyIR™ is a new FT-IR Microspectroscopy accessory designed to deliver the ultimate user experience for a broad range of microanalysis techniques. The unique ergonomic design allows seamless interaction between operator and instrument. SurveyIR’s compact configuration and alignment free optical design facilitates simple mounting in the FT-IR spectrometer sample compartment. Due to the compact design, the SurveyIR fits into most commercially available FT-IR spectrometers. Research grade visual images are produced via a high-resolution 5.0MP color video camera with 1900µm field of view. 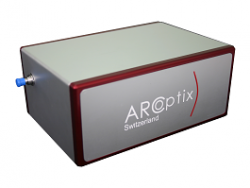 High depth of field viewing optics facilitate quick specimen location and alignment in reflection, transmission and Attenuated Total Reflection (ATR) collection modes. A choice of three on-board LED illumination modes (transmission, reflection and oblique or dark field illumination) create excellent contrast over a wide range of specimen morphologies. Unsurpassed viewing quality through the clip-on diamond ATR simplifies target manipulation and guarantees excellent sample/ATR coupling, including visualization of sample contact. Coupled with the clip-on ATR is Czitek’s contact alert which provides constant force monitoring to ensure proper sample contact is achieved. 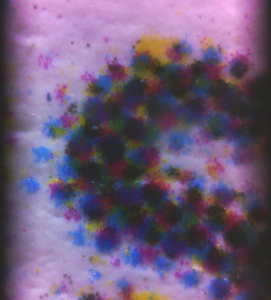 Simultaneous viewing and IR spectroscopy allows visualization and interaction with the specimen while observing the IR spectrum. IR performance is leveraged with the FTIR’s on board detector in reflection, transmission, and ATR modes. 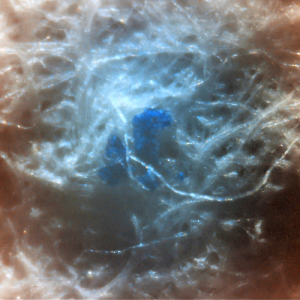 Sample manipulation is accomplished by manual adjustment of the standard microscope controls including a 1 x 3 inch travel x, y stage, coarse/fine focus and condenser focus adjustments. 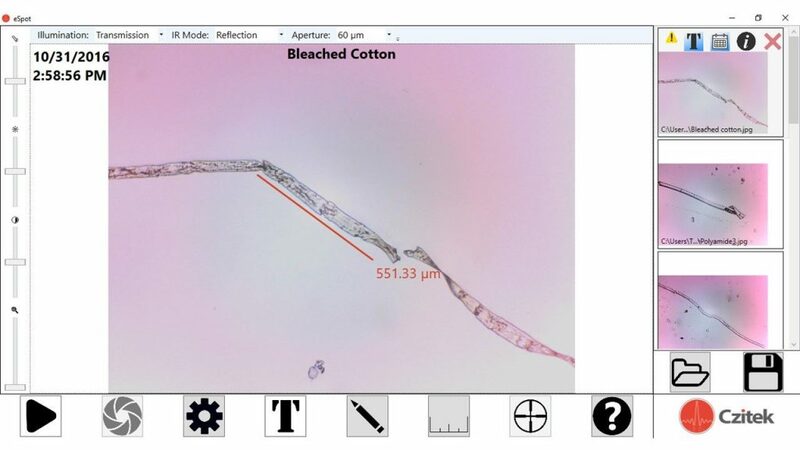 Trying to locate samples of interest with more traditional complex IR microscope systems can be challenging, but between the high depth of field viewing optics, illumination options and simple sample stage controls, the SurveyIR makes locating the sample a breeze. Czitek eSpot software enables the user to control image display, manipulation, capture, documentation, measurement and storage. 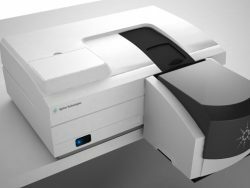 eSpot also provides the interface for IR mode selection, illumination selection, and sample size by user choice of six aperture settings down to 60µm. By keeping the software simplified, switching between different modes of spectral data collection or illumination is as simple as choosing the mode of interest from a drop down menu at the top of the screen.